Using Innovation to Provide Quality and Value. 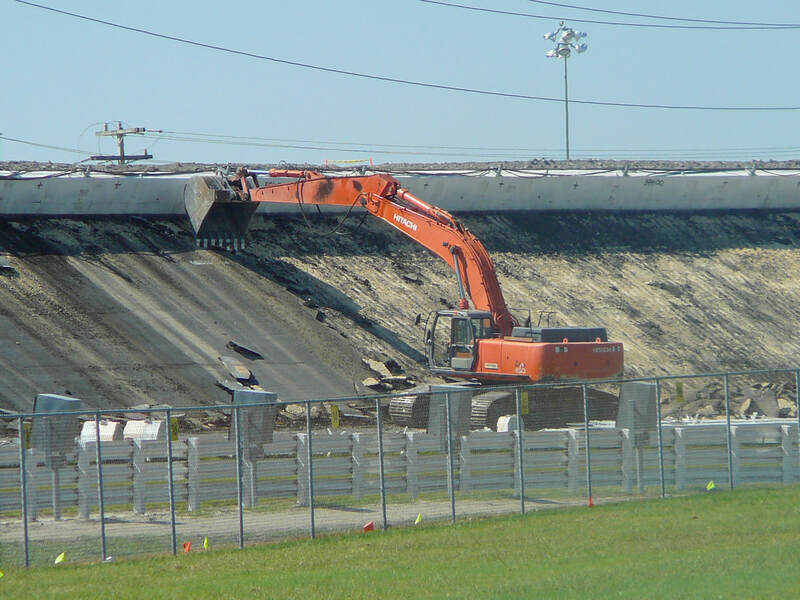 If you are interested in the services we provide in regards to race track construction or maintenance, please click on the rack card pictured to the left. It will provide you with a detailed description of all services we can provide. The table to the right lists all the racetrack related work AMS' personnel have been involved in since 2002. 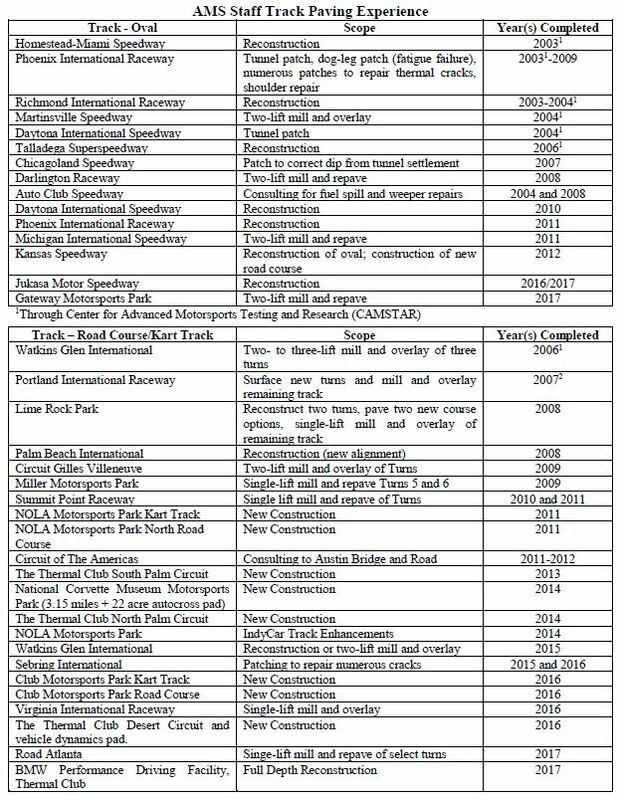 The list illustrates our vast experience in racetrack rehabilitation, reconstruction, and new construction. Click on the photo to see the entire list. We would love the opportunity to help you keep and maintain a first class racing surface! Please excuse our mess while we update our website!